We all know about the hormonal changes in women as they age, but we rarely discuss what happens in men as they hit their 40’s and go through what some call “manopause.” In this episode of The Brain Warrior’s Way Podcast, Dr. Daniel Amen and Tana Amen describe what happens to male hormones as they age, and what you can do to drastically reduce the effects of these hormonal changes. 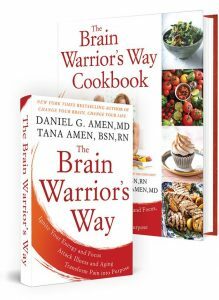 Dr Daniel Amen:	Welcome to "The Brain Warrior's Way" podcast. I'm Dr. Daniel Amen. Tana Amen:	The Brain Warrior's Way podcast is also brought to you by Brain MD where we produce the highest quality nutraceutical products to support the health of your brain and body for more information visit brainmdhealth.com. Dr Daniel Amen:	Welcome back, let's talk about men baby. We're going to talk about hormones and men today. Does being over 40 make you feel like half the man you used to be? Absolutely not, I'm 63 and I'm married to you so I feel every bit I'm like a little kid, right? You often say that to me. Dr Daniel Amen:	Like you're so adolescent. Tana Amen:	-not a little kid I say your adolescent, that's what I say. You remind me of a teenage boy. Tana Amen:	Well, it's so obvious. It's not like we can get away with anyone not talking about it, but with men it's a little more subtle. Dr Daniel Amen:	Right, men usually don't have hot flashes. Tana Amen:	We call it man-o-pause, right? Dr Daniel Amen:	Well, that's what menopause does. Tana Amen:	Puts men on pause? Tana Amen:	So very interesting. Tana Amen:	Well, this is really interesting, I know we're here talking about men. So for the longest time we thought that it was men filing divorce, because most divorces happen at that age, but it's not it's women. Dr Daniel Amen:	75% of divorce when it's filed is filed by a woman. Tana Amen:	At that age. So usually it's around that age and here's what happens. So women's brains rewire themselves three times in life. Once, when she hits puberty, right? Then they dramatically rewire when she has a baby, now I can attest to this. Like you become totally different person after you have a baby. You become much more protective, maternal. Dr Daniel Amen:	-back to your big job. Tana Amen:	-going to be a stay-at-home mom, not a chance, not a chance. I had a nanny lined up. I was the least likely of all my friends to be a stay-at-home mom and then all of a sudden I took one look at this baby and I'm like, yeah, I'll sell my house. I will do whatever it takes, there's no way I'm leaving this kid. I became so incredibly protective. Like ... and most moms I know can attest to this, you will jump in front of a bus or rips someone's head off, like I'll rip your heart out of your chest if you touch my child. It's weird, it's I can't explain it, but that's a biological thing that happens. We are hardwired for that to happen because that's how we keep our babies on the planet, right? We keep the species going by being super protective and our brains rewire once we have a baby. I didn't used to be like that, I didn't used to be super hyper-protective like that, because it was just me, I was like, whatever. Dr Daniel Amen:	Creatures sort of a good term. Tana Amen:	Right. So while you have kids in the nest, those are your maternal years before you hit menopause women's brains are wired to do whatever it takes to pretty much keep their nest intact for the most part. Usually, what we're wired to do is keep our nest intact. So we'll put up with more than what we put up with in a lot of areas of our lives because the goal is to raise a healthy family and keep our nest intact, protect our children so that is what we do. So you'll find yourself biting your tongue, you're more patient, you're more tolerant, you do whatever it takes. Then something really crazy happens and this was not discovered all that long ago so we now sort of understand a little better women going through menopause their brains rewire again. So all of a sudden her little birds fly the nest, right, right about the same time she's going through menopause typically, now it's getting a little later now, but typically right around the time her kids are leaving she's now going through menopause. Her brain starts to rewire, her hormones are what causes that is her hormonal shift. So that hormonal shift now she's not estrogen dominant anymore, right? Her progesterone is dropping like crazy. So guess what's dominant? Testosterone. She's more testosterone dominant. It's not that testosterone goes up, it's just that it's the more dominant hormone. Dr Daniel Amen:	Because she has less empathy. Tana Amen:	Way less empathy. Dr Daniel Amen:	But she's also not more sexual. Tana Amen:	It becomes about me. Dr Daniel Amen:	-doing everything to take care of other people. Tana Amen:	And now it's about me. Tana Amen:	And she's like to hell with you. Dr Daniel Amen:	-is like what happened? Dr Daniel Amen:	I'm starting to get worried here. Tana Amen:	-yeah, I don't think you need to worry because I think here's part of the answer. Number one, you have a strong marriage going in, right? Because most people don't want this to happen, this isn't what we wake up thinking we want to have happen in our lives, divorce is expensive, it's not fun. Tana Amen:	And we should be. Tana Amen:	But we should be. Dr Daniel Amen:	We should be. Dr Daniel Amen:	No question about it. Tana Amen:	So I did. Now I had an extreme situation I had to, right? I sort of like looked like a guy, thought like a guy, I was super muscular, I didn't have a choice, but that's a whole different story. You've told that story already, but anyways. Dr Daniel Amen:	I think we've told it on the podcast. Tana Amen:	I think we have, but we can tell it another time. So the bottom line is this. Dr Daniel Amen:	Change your hormones, change your dog. Tana Amen:	Now you're confusing them. The bottom line is you should be thinking about your hormones, we don't want families to fall apart so by understanding them, like I get my hormones balanced, I am a fan of it. Not everyone can, not everyone wants to, but if you're not going to understand the things you can do that make it better. Diet, exercise right, some natural methods. Dr Daniel Amen:	So we're talking about male hormones now. Dr Daniel Amen:	So they drop not as precipitously all at once, but there's this sort of long, downhill march starting maybe at 40 and then by the time you're 60 for many men if they're not taking care of themselves, their testosterone level, so normal range is like 350 to 1100 and I see many, many people who are under 200 and they have no energy. They can't remember things they're depressed, they're overweight and they go, oh, well that's aging. When we did our show together, Brain Fit 50 Ways to Grow Your Brain, I asked you the question, so why do hormones drop with age? Do you remember the answer? Tana Amen:	Yes, the planets way to like get rid of you, make room, making room. Tana Amen:	Yeah, because then your marriage is definitely going to fall apart. Dr Daniel Amen:	-supplements and their levels at 15 and I'm like, 1500 and I'm like, no you don't want it at 1500 because your empathy goes down and your libido goes up which is the prescription for divorce. Tana Amen:	Right, you're much more likely to cheat and be aggressive. That doesn't mean you will, but you have a higher chance of it for sure. Dr Daniel Amen:	Right. And so what are the things men can do to keep their hormones healthy? Tana Amen:	First thing, get rid of sugar. Dr Daniel Amen:	Well, first thing is test them. Dr Daniel Amen:	You've got to test them on a regular basis, we think you should test them every year. Tana Amen:	Because when you eat simple and sugar carbs it actually tanks your testosterone. So very interesting, for women it does the opposite, it can actually exacerbate something called polycystic ovarian syndrome, which causes testosterone to go up to an unhealthy level for women, but in men it causes testosterone to drop. So that's why when the Paleo Diet came out men loved it so much, it was one of the few diet programs that caught on bigger for men than for women because they saw their bodies change and their libidos go up. Dr Daniel Amen:	Right, so if you get rid of sugar and there's actually one study that showed if you got a sugar burst it dropped your testosterone by 50% and I remember putting in one of my shows, I'm like, oh, great. Go to the Cheesecake Factory, share the cheesecake, no one is going to get dessert when they get home. Dr Daniel Amen:	Chocolate, give them chocolate. Tana Amen:	-not at all. Yeah. Dr Daniel Amen:	So, side note, this is a tip for you staying with us at the Brain Warrior's Way chocolate has something in it called PEA, phenethylamines which alert your brain stem that something fun is about to happen. Now only give her one piece of chocolate, if you give her the whole box she will have no need for you because all the fun will have happened. So this is really important because people who have inflammation in their body that decreases testosterone. Men who have belly fat, I mean I don't know about you, but is anybody besides me horrified by all the pregnant men in our society? I'm like, I go to the mall and I'm like, I don't say this obviously, but I'm thinking to myself, dude, deliver the baby. The baby is not good. You know all this belly fat. Tana Amen:	Well, it's really unhealthy for you. Dr Daniel Amen:	It's healthy testosterone but it takes whatever healthy testosterone you have left and turns it into unhealthy cancer promoting forms of estrogen called ESTROONE or E1 and that's a bad thing. We know obesity is associated with cancer. Tana Amen:	So let's talk for a second about the psychological impact of men going through manopause, right? So a man's testosterone drops, his libido drops, women are not as attracted to him, he's not as attracted to women, that can be pretty devastating. I think men get a little freaked out by that don't they? And that can cause some crazy behavior. Tana Amen:	So if they have a healthy relationship it can be okay? Dr Daniel Amen:	Well, obviously it can be okay and often is okay, but just know everybody's hormones are changing. Tana Amen:	I guess what I'm getting at is we hear so much about midlife crisis, so he runs out buys a red Ferrari, and is looking for the 25-year-old Barbie doll, so is that because he gets a little freaked out about getting older? Dr Daniel Amen:	-she is different. Nobody talks about that. Dr Daniel Amen:	No not different because she's older, different because she's less interested in him. Tana Amen:	Oh, I meant the 25-year-old was different. Dr Daniel Amen:	That's just a bad decision. Tana Amen:	Right, a really bad decision especially if we're married to certain people right, really bad. Dr Daniel Amen:	Especially in my case. Well, I think my 40-year-old children would have a problem with it. Tana Amen:	They wouldn't have to worry about it. Dr Daniel Amen:	Because I probably wouldn't be [inaudible 00:13:35] no we're very clear at my house, I get threatened usually daily, it's sort of like a multiple vitamin, right? Tana Amen:	It's good for your frontal lobe, what could I say. Dr Daniel Amen:	Something we're going to talk about in another podcast coming up on how anxiety can prevent dementia. Tana Amen:	And cheating. We should get back on track. Dr Daniel Amen:	So how do you keep your testosterone healthy? You kill the sugar and foods that turn to sugar and you lift weights. Tana Amen:	Exercise, yes, muscle. Dr Daniel Amen:	Particularly muscle. Tana Amen:	You need muscle on your body. Dr Daniel Amen:	The stronger you are as you age, the less likely you are to get Alzheimer's Disease and the more likely you're going to keep your hormones healthy. If your DHEA level is low, sometimes taking that can be actually really helpful. There's some medications so there's obviously testosterone. If your levels are super low and you're doing the right thing and it's still not an optimal level, I think hormone replacements absolutely worth considering. Dr Daniel Amen:	-comes from the urine of Italian nuns, but why do I know that? But Clomid has been found to help boost testosterone. Tana Amen:	Why Italian nuns? Why not Russian nuns, I'm just curious? Dr Daniel Amen:	It's the pasta I suppose. Tana Amen:	What's in the tea? Tana Amen:	Cut the sugar. Dr Daniel Amen:	Kill the sugar and the foods that turn to sugar; bread, pasta, potatoes of course. 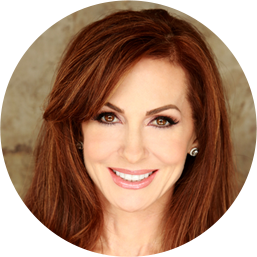 Dr Daniel Amen:	Being married to a redhead is that what you said? Tana Amen:	Well, I think that's a good form of stress, but that's my opinion of course, so I think I'm good for you. Dr Daniel Amen:	No question, you're so good for me. Because if I said anything else it'd be bad for me. Dr Daniel Amen:	It's awesome. Tana Amen:	Anyways, so you need to manage your stress, because stress when you increase stress hormones decreases your testosterone, not good. Dr Daniel Amen:	And one more tip environmental toxins. 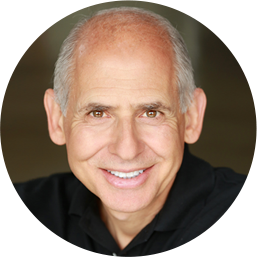 Dr Daniel Amen:	So you have to start scanning your personal products. Read the labels. Look at things like Phthalates and Parabens and BPA's and fragrance, all of those are called endocrine disruptors. What's an endocrine disruptor? Something that destructs your hormones. Tana Amen:	So you never fully answered my question about men who when you said, yes it's a bad decision, men who go through that midlife crisis thing. So why do they do that? Is that a psychological aspect of manopause? Dr Daniel Amen:	Well, what I think having been a psychiatrist forever is when you hit 45 you begin to have a lot of people die in your life. Tana Amen:	Right, so mortality. Dr Daniel Amen:	You begin to have either your mom die or your grandparents die or even a friend of yours dies of cancer and you begin to go, is this all there is? Dr Daniel Amen:	So you know you're going to die so when you're teenagers obviously you think you're never going to die, you really don't think about it much in your 20s, in your 30s you're generating. In your 40s your career is sort of settling down a little bit and then you're like, is this all there is? And as testosterone levels are going lower you're a little bit more depressed, your energy's not quite as good and you're looking for a dopamine burst. The 25-year-old will give you that along with all sorts of other things that you may not want and I'm not picking on 25-year-olds, I mean you know there are so many wonderful 25-year-olds, but that you're clearly doing things that will disrupt your own character, your own morals. Tana Amen:	Yeah, it really has a lot less to do with the person you pick than it does with your bad decisions. Tana Amen:	Right so, I was just curious, so it's really a lot deeper than just your testosterone dropping, that's what I was curious about. Dr Daniel Amen:	It's all about the [inaudible 00:18:16].